VPS stands for Virtual Private Server & it is also called as Virtual Dedicated Server. VPS server is a part of dedicated server; it provides hosting of multiple websites simultaneously. In VPS servers, hosted sites are totally independent & have own dedicated IP address, CPU resources, RAM, memory space & disk space. 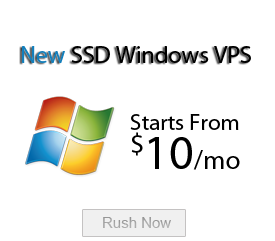 You can get VPS hosting with windows & Linux. Below mentioned is brief description of advantages & disadvantages of VPS hosting. In VPS hosting, you will get better performance & up time than shared hosting because you are not sharing any resources like RAM, disk space, bandwidth with others. So your website does not face low speed due to heavy load on website & downtime. In this hosting you will have full control to your server, because VPS provides full root access to the user like a dedicated hosting. This server allows custom configuration & installation. So you can install any software or operating system on your server. VPS server is very reliable & flexible. You can change or upgrade your plans like memory, bandwidth and disk space according to your business needs. This hosting service is affordable. Cost of VPS hosting is more than shared hosting & less than dedicated hosting. If you want more resources & same control level as dedicated hosting then you should choose VPS hosting. In this hosting, you don’t need to worry about privacy & security. In this hosting security level is high because you have your own server & IP address. This hosting provides root access to the admin only. When you select VPS hosting, then you will get full technical support from service provider. Total technical support is provided by professionals with 24/7*365 support. You can’t get this type of service in shared hosting. In VPS server, you can’t get features & resources like in dedicated server. So if you want total features & resources, if price is not your issue than you have to go for dedicated hosting. In VPS server, you get more resources than shared hosting. So installing software, manage & maintain the server, you need to have some technical knowledge. VPS will give you independence & flexibility like a dedicated hosting in affordable price. This is a good medium between shared hosting & dedicated hosting. At present, VPS hosting is very popular from small businesses to large businesses.